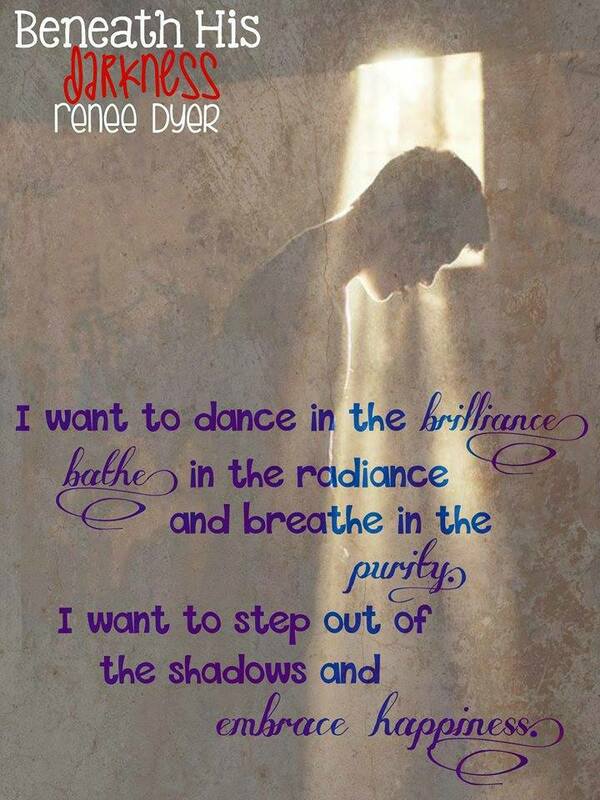 Since I started this writing journey, I’ve been happily writing contemporary romance. Something about the journey of two people fighting their demons and finding their way together makes me giddy. I love the push and pull, the tension, the heartache, and the celebrations. I’ve enjoyed getting lost in creating characters who made me fall in love with my own husband all over again. Although I wrote happily ever afters, I loved the road the characters had to travel to get there. 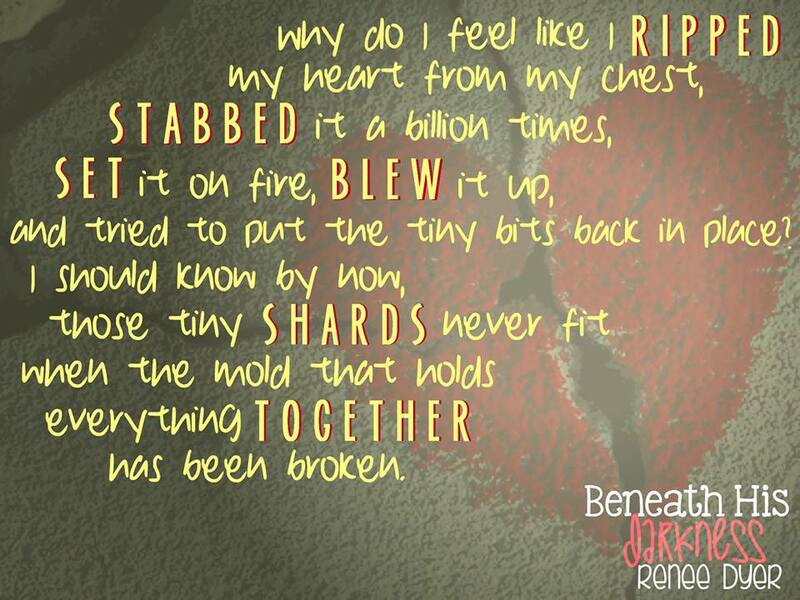 I wanted my readers to scream at their kindles, cry until they couldn’t see, feel like their hearts were being ripped out, because I wanted to put them back together. I wanted to put the reader into the book, make them feel the pain, and the love. Last year, a totally different story entered my mind. It still had all those attributes I mentioned, but…it wasn’t your typical romance story. In fact, I wouldn’t call Sevyn a romance. My husband read it. That right there told me it was different. He had no interest in reading a love story. But when he heard me talking to one of my beta readers about killing characters, he was intrigued. Death…now, that was something he could get into. There is a romance aspect written into it because…well, because I love writing love, but it’s really a tale of one man’s journey to discovering who he wants to be and where he wants his life to lead him. This book will show you how dark a person can go when pushed to make impossible choices, and if they can be redeemed. If you love a twisted story that guts you, but gives you hope too, Sevyn may just be the book for you. I do warn, though, it is graphic. There are warring drug cartels. Everything you would expect in a drug cartel book is in here so if you have triggers, this book could be an issue for you. It has taken me weeks…weeks to write this review. I have been in an absolute book slump since finishing it. I mean, who can replace Holden and Nora’s story? I was reading it, routing for them, and thinking–what the hell is wrong with me? This book had the perfect blend of dark, twisted, love, and affection. It had all the wrong that felt so right. I can’t even write a review that does this book justice. My favorite from K. Larsen yet. I know…it’s been a while. This is a two fold post. One is to tell you, this will be my last post here on Word Press. I now have a full webpage. I would love if you’d go follow me there. I can update everything I need there as well as doing blog posts. Please let me know what you think of it. The second thing is, for those who may not have heard, Beneath His Darkness went live three weeks ago. This is the third book in the Healing Hearts Series. It’s Grant’s book and can be read as a standalone. Some have looked at the cover and thought–oh gosh, it looks so dark. It does have darker tones, but I promise you, there is a love story there and some of the sweetest moments I’ve written yet. It’s been called by readers the perfect blend of dark and light, revenge and redemption and the perfect telling of what would you do if you felt someone took your life from you. I hope you love it. I guess I have more than two things to babble about. I am going to be at two signings over the next few months. April 11th I’ll be signing at the North Shore Author Signing in Peabody, MA and the weekend of June 12-14th I’ll be signing at the Mystic Author Signing Event in Mystic, CT. I would love to meet you! I truly hope you come check out my webpage and continue to follow me there. I’m currently working on two new books. one of them is the most emotional book I think I’ll ever write. That’s right… Grant’s book has a release date. 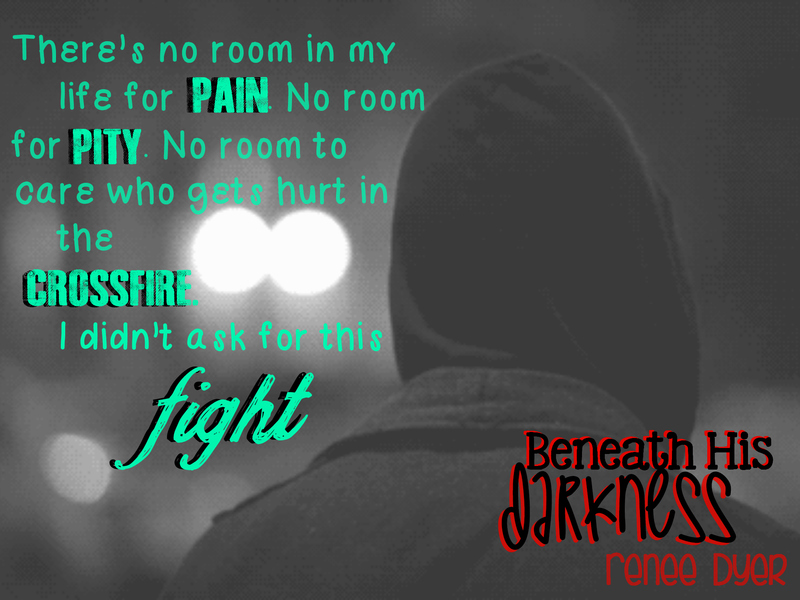 Beneath His Darkness releases February 23, 2015 and I can’t wait for you to get your hands on him. Grant and I are throwing a cover reveal party on January 29th on Facebook and we’d love for you to come join us. If you’re a blogger, author or know one who you think would like to be a part of the cover reveal or release day blitz please have them fill out this doc. Thanks so much. Grant is up on Goodreads too. We’d love if you’d add him to your want to read list. Trust me, you want this bad boy on your list. Are you feeling jolly? I really am. Tucker and Adri’s story wrapped up over the summer. A lot of people have come to me saying, “I didn’t even realize you released Eyes Wide Open.” You know what? That’s my fault. I went in for brain surgery on August 12th and although I knew from last spring that I was going to be having it, the date was all over the place. At the beginning of summer I set the release date for Eyes Wide Open for August 11th. I worked my tail off to get everything ready for that book and wouldn’t you know, less than two weeks before release day, I got the call that the 12th was surgery day. When I announced it on my Facebook page I think many people tuned out, assuming I would push the book to the side until after I recovered, but I didn’t do that. To me, my fans came first. You had been waiting to see what happened after Adri left Tucker at the airport at the end of Waking Up and I was going to answer that for you. I also wasn’t letting Chiari destroy what I had been working months for. So, my best friend Amie who runs We Stole Your Book Boyfriend took over my page for a couple weeks until I was ok enough to start posting on my own. But, I think the lack of hearing from me made people believe the book wasn’t really out there and that’s a shame because for those who have read it, they say it’s the perfect ending for Tucker and Adri. Why am I so jolly you ask? Well, we cut down our Christmas tree yesterday and we’re decorating it tonight. This is one of my favorite things to do all year. My husband and my three boys all get involved in decorating it with me. I love having this moment each year when we all come together to do something that makes us smile and feel happy. Tannis, my oldest, is 19 now which means I may not get many more of these decoratings with all of us. Need to treasure it while I can. The other reason I’m so jolly is I’m just about half way done writing Beneath His Darkness. This is book three in the Healing Hearts Series and it’s Grant’s book. For those of you who haven’t read Eyes Wide Open and are screaming at me, “Why the hell are you writing a book about Grant?” Trust me. It all makes sense after you read EWO. I truly never planned a book for Grant, but Tucker went and changed everything on me about 3/4 of the way through writing EWO. Sometimes it drives me crazy being the narrator to my characters. I want to tell them I’m doing things my way, but they tell a better story than I do. So, as much as I thought Grant was just a filler to the story, he became a leading man and I’m loving him in ways I never thought I could. I thought he was meant to be the villain of the Healing Hearts Series and learned I have a lot to learn about my characters. Beneath His Darkness will release winter 2015 and Waking Up & Eyes Wide Open are currently available on Amazon, Barnes & Noble and Kobo. I’ll post a few teasers for you of BHD. Please add Grant to your Goodreads list. His book is a standalone as all the rest of the series will be going forward. Have a great holiday season! I hope Santa is extra good to you this year! Eyes Wide Open is live! Well it has been since August 11th and yes I should have written a post much sooner, but I left my house bright and early August 12th to go in for brain surgery. Why the hell would you release your book the day before brain surgery a lot of people have asked. It’s a very interesting and frustrating story. My surgery was supposed to be in June which would have given me time to heal before release day and fully get to enjoy it. My surgery was rescheduled three times in June and kept getting canceled. All summer I waited for a new date. I figured it wasn’t happening until fall so I plugged on making sure EWO was as perfect as possible. Less than a week before release day I got the call that surgery was scheduled for the 12th. My heart dropped to my feet. I almost changed release day, but to me, not only did that feel like I was letting Chiari (the condition I live with) win, but I felt like I was letting my fans who were waiting for this book down. So, I posted on my author page that I was going in for surgery, that I was still publishing as expected, but I was sorry I wouldn’t be around for a little bit to celebrate with everyone. Luckily for me I have an amazing admin who has kept my page running as I’ve been healing. She kept my fans up to date on my surgery and healing as well as running giveaways. You realize at times like this that you’re only one person and you can’t do things alone. My street team took over all the marketing of my books and spread my name everywhere. I didn’t have to ask. They all did this out of the goodness of their hearts. Family, friends and neighbors came together to help my husband with my kids, cook meals and simply just check in on how I’ve been doing. It’s been amazing to watch the outpouring of love. I’m actually overwhelmed by it all. Slowly, I’m getting better. Each day I feel a little stronger. I’ve even been able to check in and leave posts on my author page a few times which makes me happier than I can tell anyone. Just being able to connect to people is its own form of healing. I know I still have a ways to go until I’m totally myself again, but I’ll take every small victory along the way. Thank you to everyone who has sent messages of well wishes, who has been here for me in anyway and for all the messages about how you feel about EWO. I love when I get a chance to log in and read them or when my hubby logs in for me and reads them to me. You all make my heart smile! Being a newbie author you learn so much, but the biggest thing I’ve learned is… you keep learning. Every time I think I’m getting the hang of this author stuff I realize I have a whole lot more to learn. It’s fun and it’s frustrating at the same time. It’s fun because I get to talk to so many amazing authors who I look up to, but it’s frustrating because I have to wade through all the information and figure out what is stuff that could potentially harm me. It’s a lot to take in. I’m made some good decisions and I’ve made some not so good decisions since I started on this journey, but what I’ve come to realize is that as long as I make every decision with with good intentions then I shouldn’t have regrets. As I get ready to release my second book I don’t feel like much less of a newbie as I did releasing my first book. Yes, I know a lot more than I did the first time around, but I still have so much more to learn. The biggest thing that’s changed since my first book is new authors now come to me for advice. It’s amazing when they do, but it’s scary too. I only hope that the advice I give helps them. My advice to you, as a reader, never be afraid to take a chance on your self. If you have a dream- chase it. I did and I haven’t regretted it for one second. It’s a lot of work, but it’s even more fun! Eyes Wide Open has a release date!!! August 11th. Yep, you read that right. August 11th, Eyes Wide Open will go live. It will be available on Amazon and Barnes & Noble just like Waking Up is. Paperbacks will be sold on Amazon. I’m looking into Kobo and Itunes. If I go with them then I’ll add Waking Up to those as well. So excited for everyone to see how Tucker and Adriana’s story ends. This is NOT a trilogy. Waking Up was about 500 pages and Eyes Wide Open is a little longer. I didn’t cut the books short to turn them into a third book. Why, you ask? One, I didn’t want to do that to the readers. And two, I honestly, originally planned on their story being one book. They ended up being a more complicated couple than I intended. I’m glad they got two books. They were a deserving couple and they started the series. They introduced you to all the other couples you’ll be reading about in the other books. I can’t wait to see what you think of them!! !